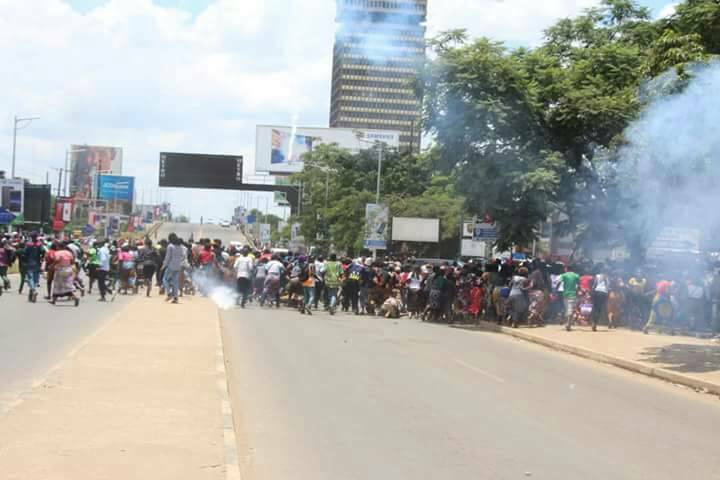 POLICE have teargassed scores of Lusaka traders who were matching to State House to demand an audience with President Edgar Lungu on the continued closure of businesses. Evicted street vendors have been allowed to trade outside the gutted City Market which has failed to accommodate all. Traders with no trading space then mobilised yesterday morning to head to State House to talk to President Lungu. 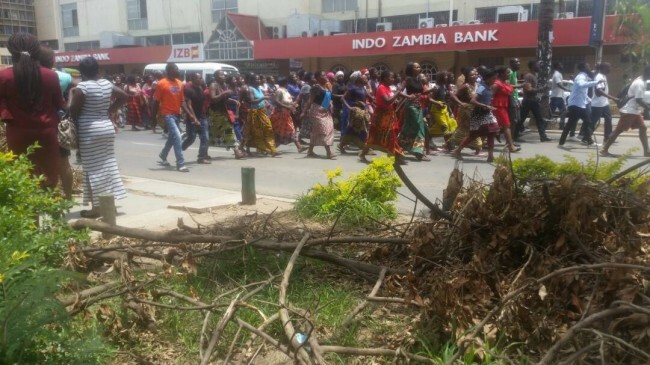 Chanting “njala, njala, njala”, the traders, including women,then headed to State House via Independence avenue before police and Zambia Army officers intercepted them in Kamwmala just outside Kambendekela House. Police asked the traders to return but the determined protestors responded by sitting on the road,sealing off traffic. “We should just die from here, kill us if you want otherwise it is hunger that is going to kill us. We voted for Lungu and we want to see him over this issue,” one trader told the police as others cheered in approval. After failed negotiations for the traders to vacate the road, police discharged tear gas that ignited a run-for-your-life scamper. The situation caused panic and forced traders in Kamwala to close shops. Police, backed by Zambia Army officers, then pursued the fleeing marchers into town. It is not immediately known if there were any injuries, although several women were seen falling as they fled the teargas fume.